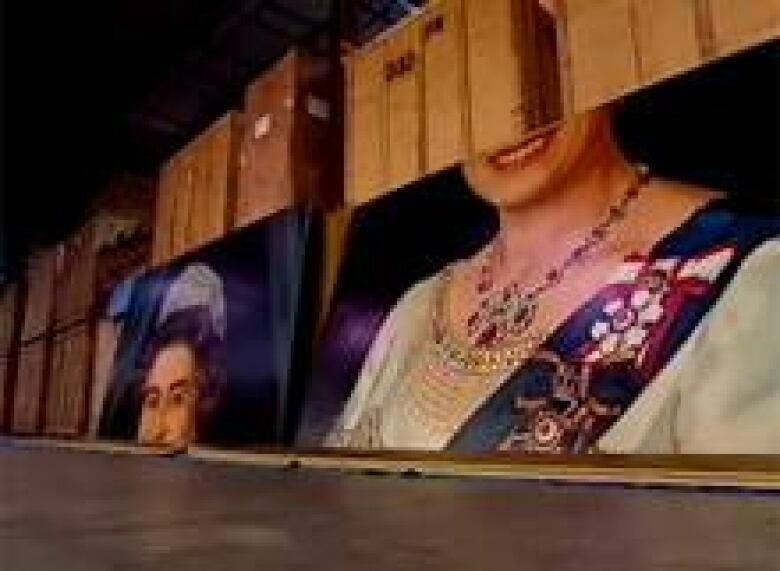 An enormous portrait of Queen Elizabeth that used to hang from the rafters in the old Winnipeg Arena has been languishing in a storage facility near Toronto this past seven years. The 35-square-metre oil paintingliesin pieces inside a high-security storage facility in Whitby, Ont., while its owner seeks a new home. "She's safe and warm and she's got some good humidity," says Hazel Willis with the Camp X Historical Society, the custodian of the painting. "She's looking good." 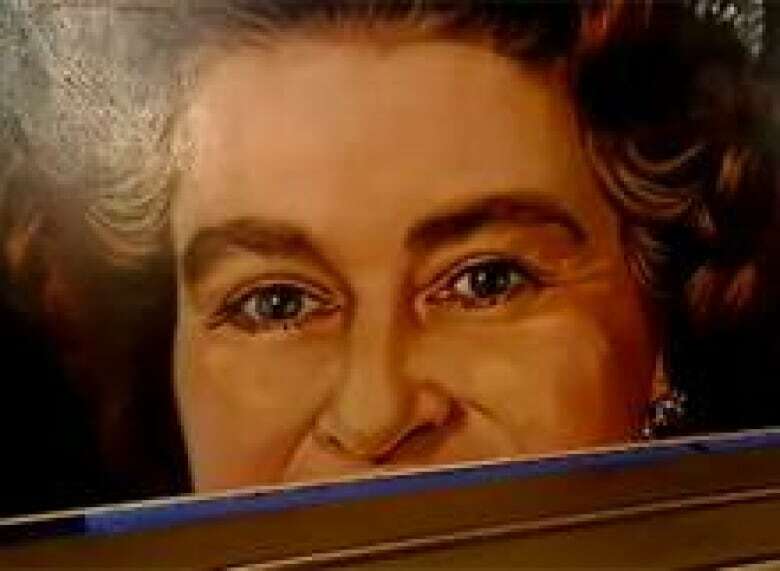 At five by seven metres, the portrait is one of the largest ever painted of the Queen.The artist, Gilbert Burch, had no formal training; he also worked on billboards. The paintingwas commissioned in 1979 by Manitoba Lt.-Gov. Francis Laurence Jobin specifically for the arena.WhenWinnipeg Jets NHL teammoved out of the arena in 1996, so did the Queen. The team went to Phoenix. The painting went forrestoration— including repair of the marks left behind by hockey players who used to try to hit the Queen's mouth with the puck — and spent a couple of years in an arena in Souris, Man., before moving east to the historical society's facility. The Queen keeps her good-natured expression, in spite of the indignity of her situation. ((CBC))The Camp X Historical Society has approached the Hockey Hall of Fame, Queen's Park, and a list of others, but no one wants it. "It's all about the size, and the fact that the artist is little-known and his work doesn't trade," said art expert Stephen Ranger with Ritchie's Auction House. So, undignified as it may be, the Queen waits for an appropriate suitor. Camp X's Anya Wilson is hopeful a new home will eventually be found. "I think we'll know when they approach who's going to treat her the best," she said. YOUR VIEW: What do you think should be done with the portrait?